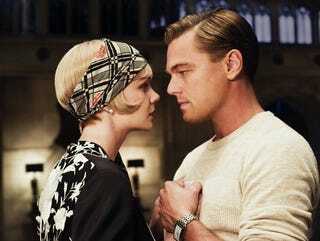 Just because Leo hasn't played a romantic lead in 14 years doesn't mean he can't. Baz & his team know how to light him, that's for sure. He looks at least 5 years younger. He didn't look that good when he WAS 5 years younger! I sat in the theater surrounded by teen girls, squealing about Leo. Afterwords, too, the swooning continued. I had to smile. I know, girls. You have no idea.